Will (he/him/his) is a co-founder of the Weaving Earth Center for Relational Education. He co-facilitates the WE Immersion and is a teacher, naturalist, wilderness guide, designer, and longtime student of the human-nature relationship. Will’s interests and passions have always been at the edges and confluences of ecological resiliency, human development, social justice and community competency. Will graduated from the University of California at Santa Cruz in 2002, where he studied wilderness process, ecopsychology, and social change. He went on to co-found The Wilderness Within in 2003, an organization borne out of his desire to offer wilderness experiences that focus on healing modern people’s relationship with the natural world, while engaging some of the key questions of our times. For more than a decade now, he has worked to foster resiliency and connection with individuals and communities through wilderness experiences, culture repair and deep nature-connection mentoring. Today, Will works as a guide and trainer with the School of Lost Borders in Big Pine, CA. More than a decade ago, Will also began working with the Bioneers Conference—a yearly synergy of visionary intelligence pointed towards the creation of a better future. 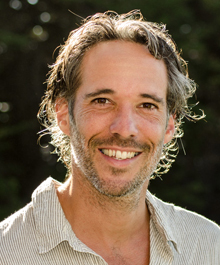 The transformative quality of the wilderness and the optimistic ingenuity of Bioneers combined to strongly influence Will’s development as a teacher and leader. Will’s journey with understanding the human-nature relationship deepened significantly in 2006 when he encountered Jon Young and his tools for mentoring and connection with nature. After a year of mentoring with Jon, Will entered the Regenerative Design and Nature Awareness program (“RDNA”), a 9-month immersion program which Jon co-founded. Upon graduation, Will was brought through the process of becoming a lead facilitator for RDNA, a position he enthusiastically held for the past 3 years. In 2009/10 he was one of 8 pilgrims on an international service journey and leadership training called “Beyond Boundaries,” exploring frontiers of regenerative human living systems globally. The pilgrimage was the opportunity of a lifetime, a chance to see first-hand some of the best practices being implemented in response to our complex chapter of the human story. Will discovered how much he had to learn from the incredible examples he visited. He also learned that his work here at home had an important piece to offer this global picture. Will completed his masters work at Prescott College, exploring the essential components of a holistic, nature-based “education for our times.” Will helped to create Weaving Earth in order to bring this kind of education more fully into the world. He is a co-founder of WE, as well as a lead facilitator in many of its programs and offerings.